5. I have always loved these swimsuits. I know it's winter but we just booked a trip to Florida so I guess it's ok for me to think about swimsuits. 4. These shoes are fancy. I like them. 3. This stocking is pretty adorable. 2. I really, really like this necklace. 1. Ohhhhh, this dress looks nice. Phew, there we go! I'm satisfying my urge to shop by window shopping instead. It usually works very well for me. We started letting Milo try some foods this week and it has been pretty cute. We are doing baby led solids so far and although I feel confident that it's safe, that doesn't mean that I don't have mini heart attacks the entire time he's eating/playing with his food. I try to stay calm though. I think it will just take some getting used to. We started with banana, then avocado then sweet potato. Last night I made a lentil dahl and dipped Milo's spoon in it so that he could lick it off. That was his favourite by far; I kept on dipping it for him! It had a bunch of spices and I thought it was delicious so it was nice that he seemed to like something so flavourful. Ivan and I have been eating healthier lately, kind of because now we will be trying to feed Milo what we are eating and kind of just because it's good to eat healthy. I already feel like I have so much more energy and my general mood has improved so much. Not that I was super unhappy before, I just feel so much happier now. What does that mean for you? Well, a happier Elycia is a chattier Elycia and therefore a bloggier Elycia. That means that hopefully I'll blog more. Well, I hope you guys have a good weekend. We have done exactly none of our Christmas shopping and we have a busy weekend so I'm really not sure when that will get done. Last year we went really minimal with gifts for our parents and made a donation to a local charity instead of buying gifts for all the kids in the family (who already get lots of gifts) so we are planning to do the same this year. I just wanted to say that I did baby-led weening with my twins (who are 18 months now), and we started with the same exact foods, and my guys loved spicy too! One of the early things they liked was cottage cheese with smoked paprika and cumin in it. And I used to season sweet potato wedges for them with all sorts of stuff. Asparagus with different herbs and spices was a big hit too. They actually still love asparagus and sweet potatoes best now too. My husband was totally freaked out about starting with real solids and thought they were going to choke constantly- he used to say I was too fearless- but they are still alive and well today :) and really good eaters! They love food! Anyhow, just wanted to put in some words of encouragement. :) Oh, and I totally think it's fine to spoon feed sometimes- I know baby-led weaning purists are against it- but if there was something I wanted them to try that they weren't coordinated yet to spoon in, I did it for them, and I don't think it confused the issue at all, so don't be scared to do whatever works for you! Oh I should try asparagus. Yeah, Ivan is pretty nervous about giving Milo certain things because of the choking thing too! When we give Milo things that need to be spooned I load the spoon and hand it to him. He's pretty good at getting it to his mouth because we let him play with a spoon for a few weeks before we started feeding him. He makes a huge mess but he likes holding it himself, ha! thank you so much for your comment, if you know of any good resources for baby-led weaning meal ideas let me know! That swimsuit is absolutely gorgeous! 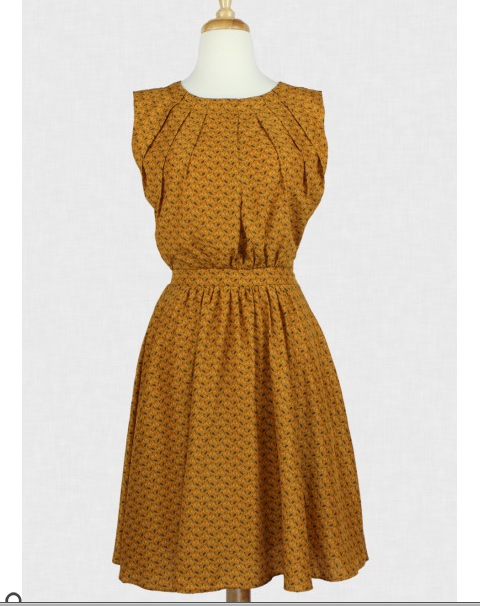 I adore vintage wear and this looks perfect! 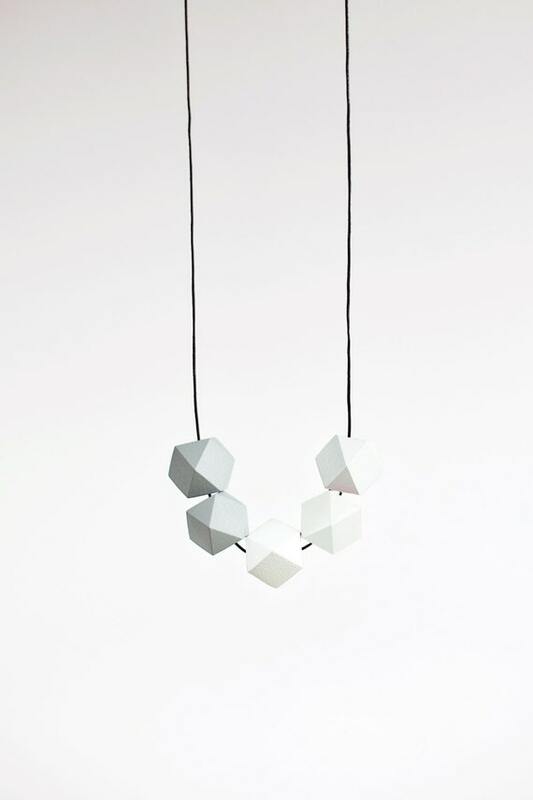 I really like the geometric aspect of that necklace!